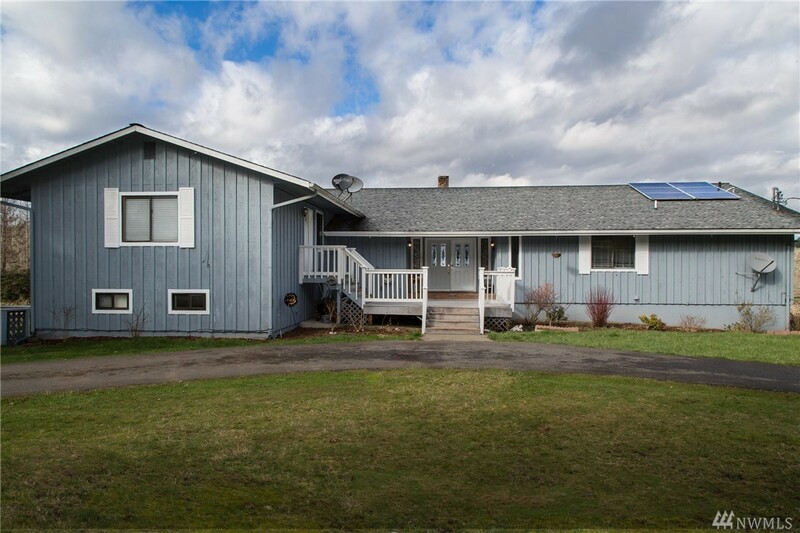 Possibilities abound at this spacious, well cared for home on close in, yet rural, acreage. Main level boasts open concept living, 2-sided fireplace & unobstructed territorial view. Retreat to the huge 2 room MasterSuite. Relax, play, work, in one of the many other rooms. BONUS - lower level has 2nd full kitchen, office/bonus rooms & more bedrooms! Home has 2 fully functional living spaces. Partially fenced land offers grapes, fruit trees, & plenty of room for more. Priced to sell. Must see!